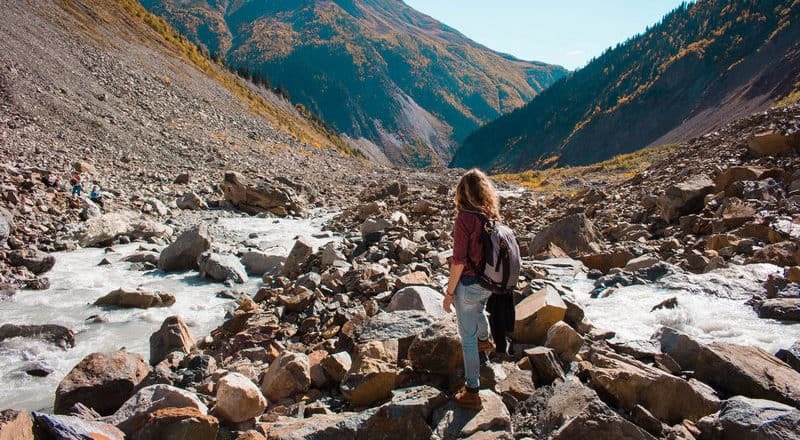 In this article, you’ll find all the info about the costs of living and backpacking in Georgia. Georgia is an underrated backpacker’s destination. 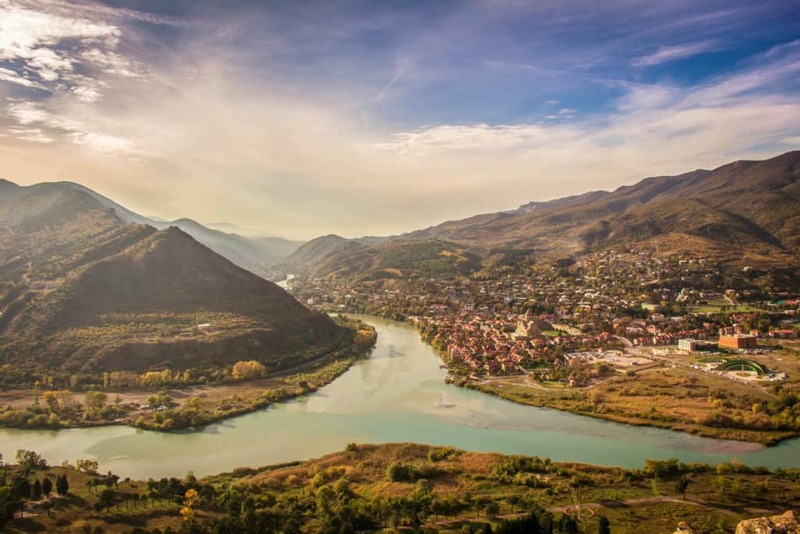 Not only is it the perfect destination for nature, culture and history lovers, it’s also very cheap to travel and live here. In any case, Georgia is the perfect place for budget backpackers and digital nomads who want to settle down for a while. For starters, Georgia is very generous when it comes to the length of the visa. 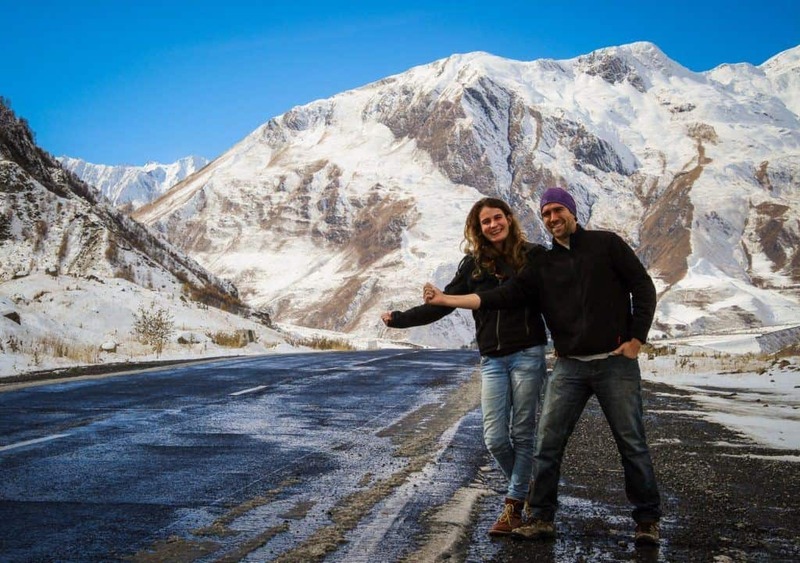 Citizens from the European Union, North America, Oceania, Central Asia, South America (with the exception of Chile and Uruguay) and Southern Africa can enter Georgia one year visa-free – more info here. 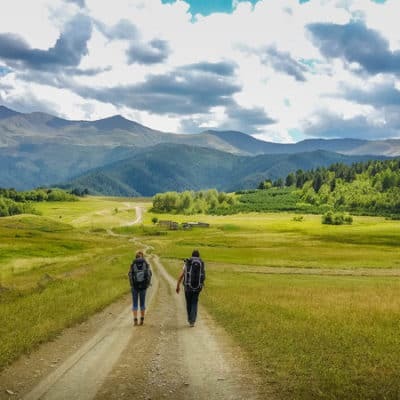 Read: Everything you need to know about backpacking in Georgia! 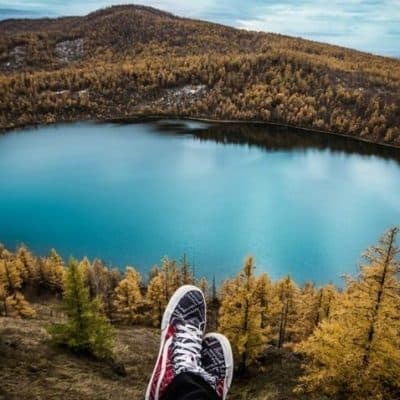 This article is a breakdown of the living and travel costs in Georgia, written with the average budget backpacker in mind. 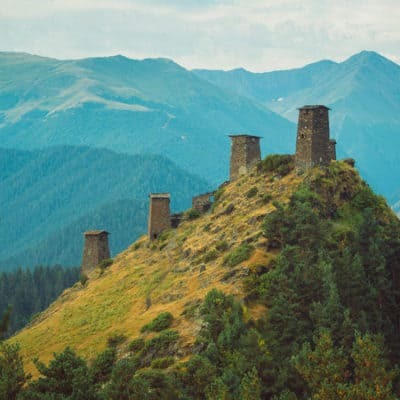 See the best of Georgia in 15 days – 3 complete travel itineraries!! How much does accommodation in Georgia cost? How much does food in Georgia cost? Late spring, summer, and early autumn is a perfect time to camp in the lush and pristine countryside of Georgia. You can pitch your tent almost everywhere for free and no-one will bother you about it. If you see a nice piece of land and you suspect it belongs to someone, ask for permission first and 99% of the time the owner will say yes. Just keep an eye out for wild dogs or animals. You might also get an occasional visit from a local who will insist on sharing a glass of wine or chacha (similar to grappa or raki) with you. Read more about our camping experiences in Georgia. Hostels are very cheap and ideal if you travel by yourself. 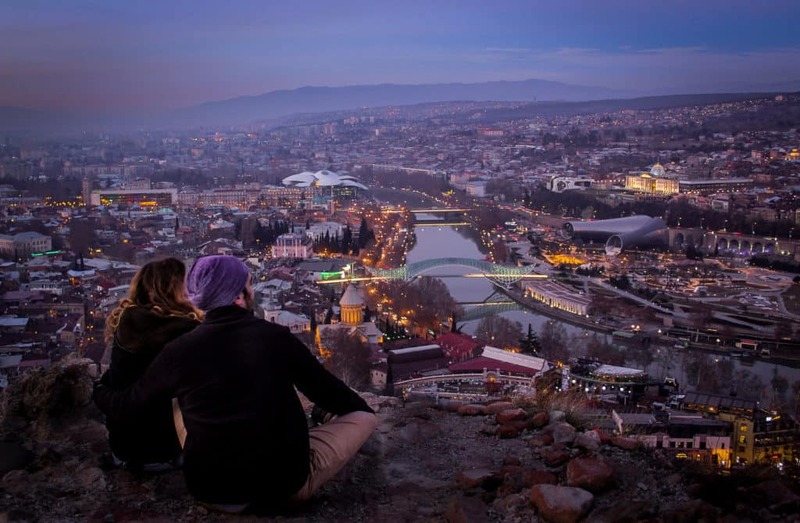 On Hostelworld you can find a bed in a mixed dorm room starting from $5 per night, even in the capital city Tbilisi! 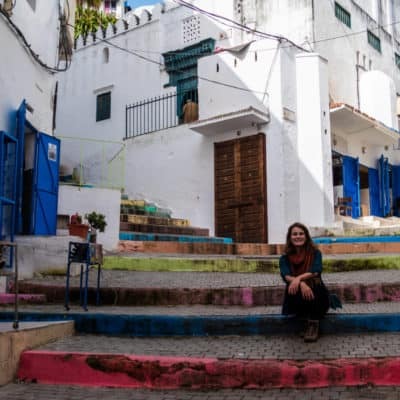 In case you can’t find a hostel in the town you travel to or you want more privacy, then staying in a guesthouse or homestay might be a better option, especially when you are traveling with a partner or friend. You can find a nice twin or double room on Booking.com starting from $12 per night (for 2 people!!). Renting an apartment in Georgia is really cheap. It’s one of the reasons why we stayed for almost one year in Georgia, although it depends on where you are and in which time of the year you’re starting to rent. My suggestion is to look for housing before or after the high season (May – September) as the prices will be lower. As you can see, the prices for the utilities depend on the weather conditions and the rent on the season + location. You can also keep the costs lower if you share a flat with someone. We found our first apartment through AirBnB. Most hosts give a good discount if you rent per month. You can always send them a private message and negotiate about the monthly price, especially when you want to rent the flat during low-season. There are a few Facebook groups on which you can find apartments and flats to rent and where you can also write a post with your preferences. For example: ‘I’m looking for a one bedroom flat in the city center of Tbilisi for $250 per month’. You can also find people in these groups who are searching for a roommate. Another great group is Georgian Wanderers. 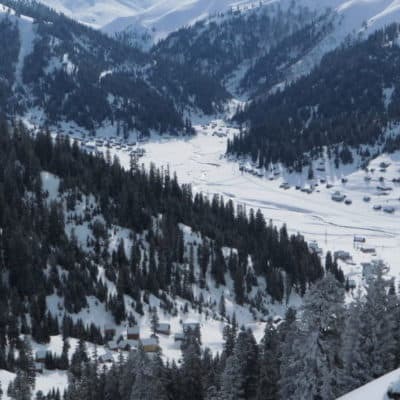 This is a great community of expats and Georgians who will help you with any question you have about living and working in Georgia. On the website myhome.ge you can also search for an apartment or house. Hitchhiking in Georgia is very easy and fun. 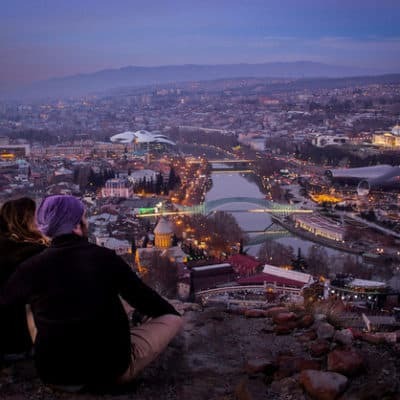 You meet great people who will often invite you to a meal or a drink (Georgia is very famous for its hospitality but watch out with the amount of wine you drink – talking out of experience…) and it’s an adventurous and free way of getting around! 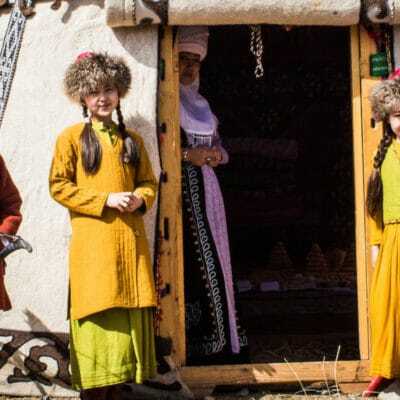 Mashrutka (mini-bus) – travel like a local! The moment you set foot on Georgian ground, you’ll see these small buses all over the roads. It’s the main public transport for the local people to get around in cities, villages and across the country. It’s the cheapest transportation and relatively comfortable. The mashrutky don’t have a fixed schedule but you’ll find them all over the place. You can stop them by waving your hand at the driver. You get off the mashrutka by yelling ‘Ka’cheret (ga- aa -tche-re) -which means ‘stop’ and you pay the driver when you get off the bus. There are city buses in Tbilisi and Batumi that will bring you to all the main areas of the two cities. A ticket costs 0.50 GEL and you can buy it on the bus itself. Get on the bus in the middle part where you’ll see a ticket-officer (they were a special jacket) and give him/her your money. They will take care of your ticket. It’s hard to figure out the specific routes and schedules but after a couple of months I found out that you can use Google Maps. 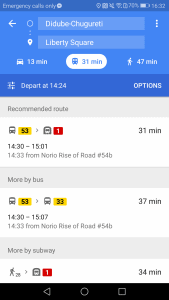 Just type your current location and the address or area you want to go to and dear Google will give you the time and number of the bus you have to take! I’ve sometimes seen big buses on the roads but there’s only one mainline between Tbilisi and Batumi. If you want to travel from one city to another, I would suggest you take the mashrutka or the train. The train is pretty straightforward and very cheap. You pay about 18 GEL for a 5-hour train ride in comfort from Tbilisi to Batumi. You first have to register on the website Georgian Railway and then you can look for timetables and tickets. If you’re having a hard time navigating the website, ask the help of a friend or your host or you can also go to the train station. The Georgians are always happy to help you out! Georgian taxis are everywhere and they normally aren’t expensive but sometimes the drivers like to take advantage of unwary foreigners. Before you get in the taxi, make sure you agree on the price! When you want to take a taxi within Tbilisi or Batumi for a short distance, you should pay between 5 and 8 GEL per ride. You should pay less in other cities. Some taxis have a meter but there are a few cheeky drivers who will turn it off if they see you’re a foreigner. If you don’t feel like bargaining and you want to count on a fair price, you could use apps such as Taxify. 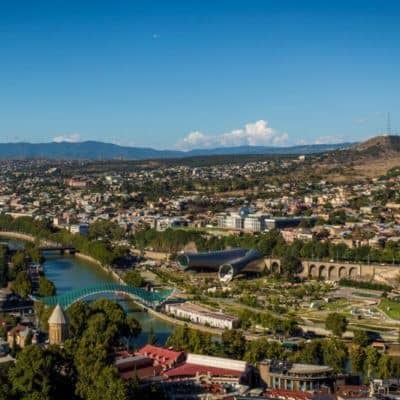 → One tip if you want to take a taxi to or from the airport: the standard price between Tbilisi city center and the airport is 25 GEL (and not 65 or 70 GEL as the cheeky drivers like to charge tourists). 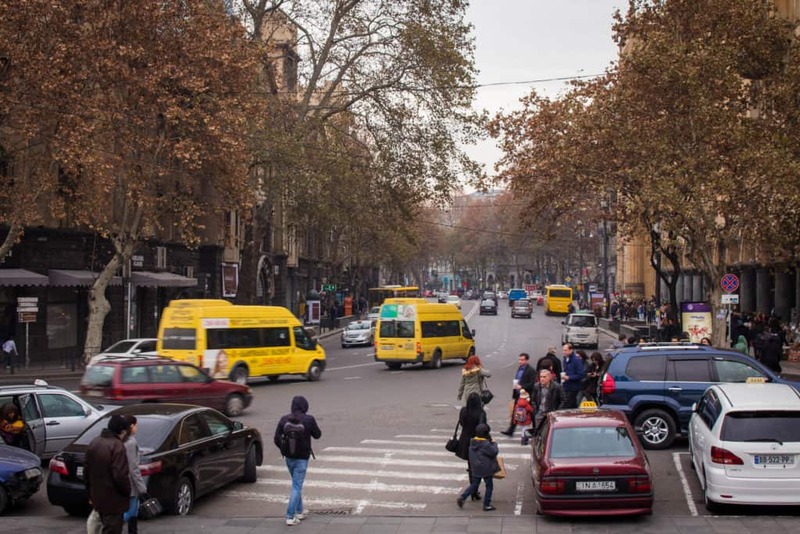 Be ready: Being a passenger in a Georgian vehicle will significantly raise your adrenaline levels! Somehow all the drivers have this need for speed and you’ll often hear yourself gasping for breath and making a little prayer when the drivers are racing each other on the roads. The cheapest way to eat, no matter in which country you are, is by buying food from the local supermarkets. Georgia is so cheap though that we treated ourselves by eating out once a week in a nice restaurant. You just have to try the delicious Georgian cuisine! Here’s a break-down of the average costs of what we paid for shopping and eating in a restaurant. 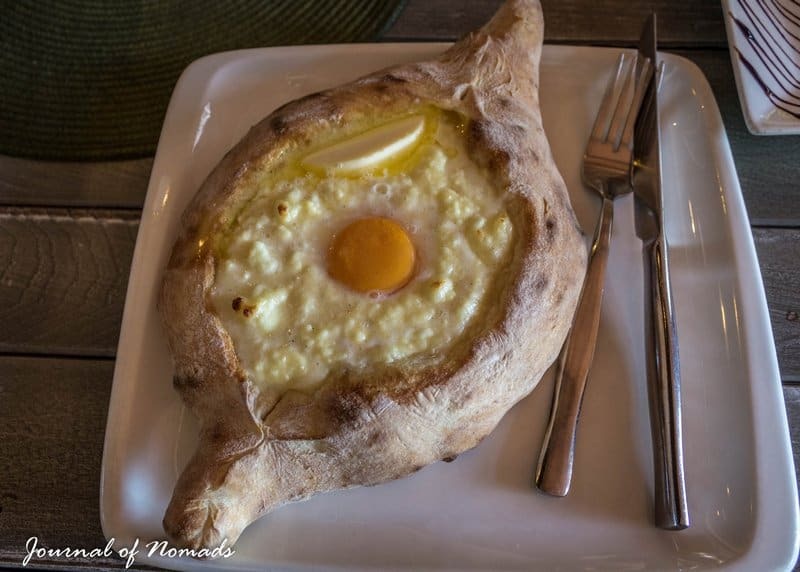 Try this khachapuri for 7 GEL! You might also want to do some additional activities and visits. 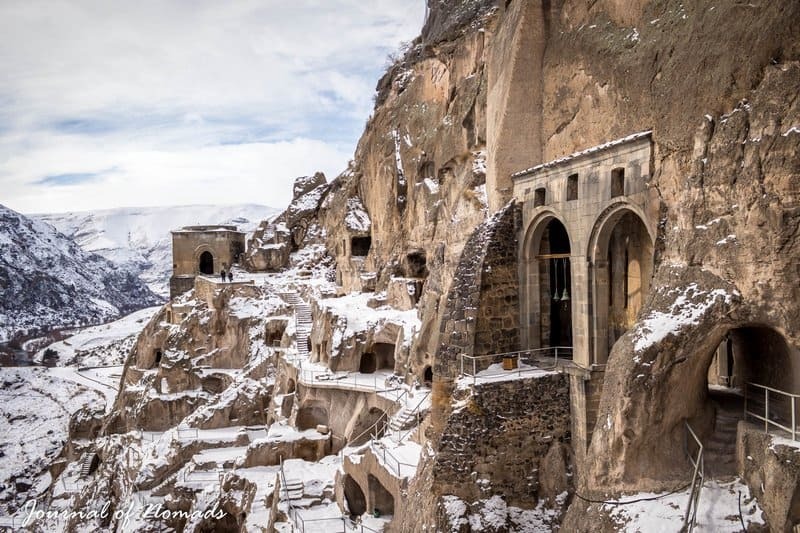 The entrance fee to most museums and National Heritage Places like Vardzia will be around 3 – 5 GEL. A guided tour will cost you between 15 and 50 GEL. Just know that those public places are closed on Mondays. Conclusion: you can make your trip to Georgia as cheap or expensive as you want. For us, as budget backpackers, it’s a great destination to travel and live for a long time without becoming broke! Feeling inspired to visit Georgia? 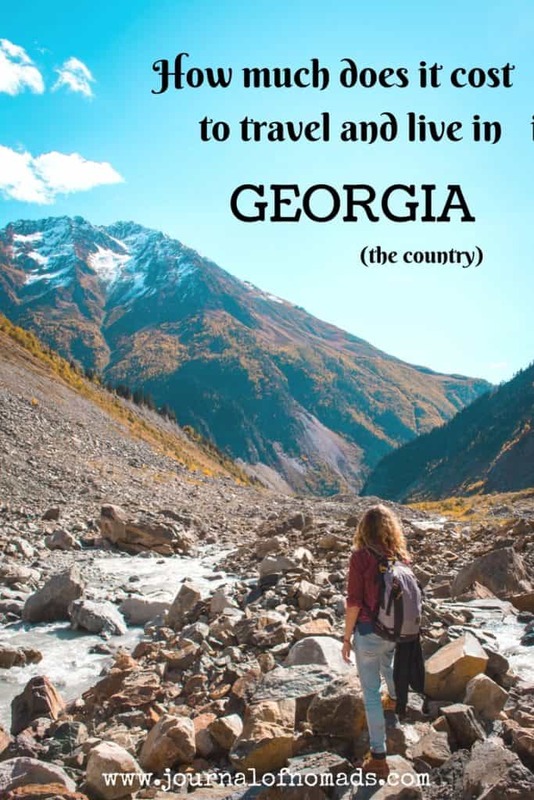 Head over to our Backpacker’s Guide to Georgia where you’ll find EVERYTHING you need to know about this stunning destination! What’s your average travel budget per day? Do you know other great budget destinations? Let us know in the comments below! I see that these comments are a year older than the day i’m reading this page, but I DON’T CARE because this article was so brilliant and perfect that i wanted to throw some words of thankfulness even if it is to the air. Thank you! please keep doing what you do, because if it wasn’t for you, i would not have ever been convinced of going to this country. Thank you really!, live long and prosper. Hi Alex, this is so nice to hear!! I’m happy that you feel so inspired by this post to visit Georgia! Enjoy your travels there! Much love! Georgia is such a wonderful place, just as wonderful this article is. Thanks for sharing useful information about Georgia, great job! Wonderfully to read. Visiting later this year.thanks. Hi Hattie, great to hear you enjoyed reading this post! Enjoy your trip to Georgia! OMG! Thank you so much for sharing this! Really helps to see what it will be like! PS: what is their tech level as country. I’m videographer and if needed to rent equipement or buy an extra battery or something, would this be a place that would have something if i got in pinch! Yes, totally agree with you! We had such a great time living in Georgia! Did you also live there, Claire? Hi, yes, you can get a job in Georgia, depending on the sector you want to work in. Just know that you’ll need a working visa and that the salary here is rather low, that’s why we worked online while we were in Georgia.